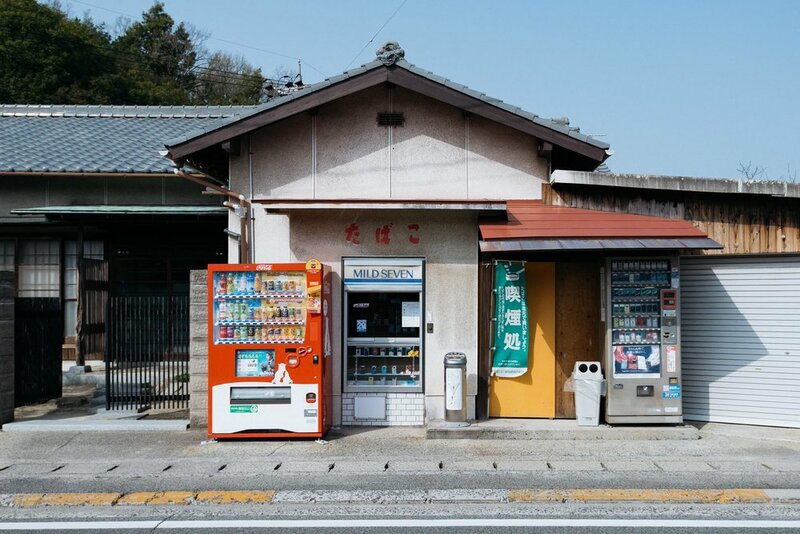 Located in Japan's Seto Inland Sea, Naoshima is an island known for its contemporary art museums, architecture and sculptures. This calm, laid back island makes for a perfect escape from the busy, populated cities and can be reached in under 2 hours from Osaka. With enough to see in a day, you'll leave wishing you could spend the night there. It's a beautiful place. Getting around is easy; we decided to walk but there are plenty of bicycle hire shops as well as a bus service that will take you to all the major spots. One of the most popular pieces of sculpture on the island is Yayoi Kusama's Yellow Pumpkin (1994), which is free to see and part of the Benesse House Outdoor Works exhibition. I would recommend leaving early to get the most out of the day. We left on the 7:05am Shinkansen from Osaka. 45 minutes later and you're in Okayama, where a local train will take you to Uno. From Uno station, head over the road to the ferry terminal. 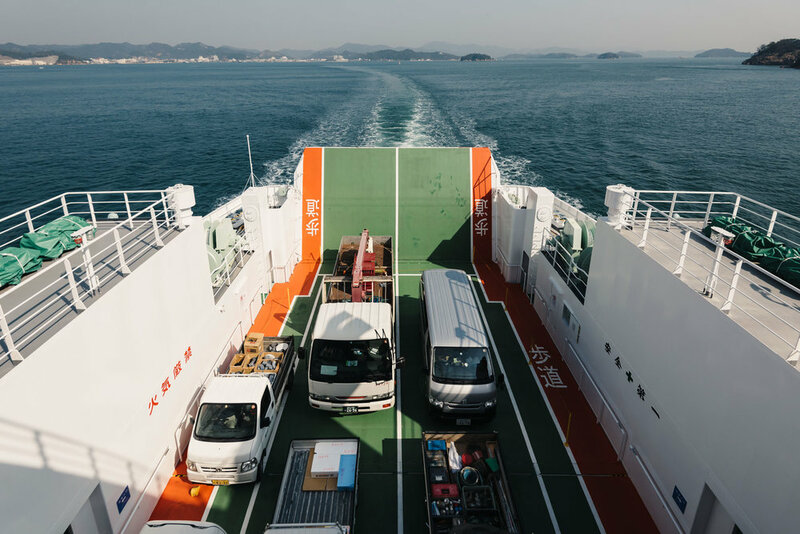 A short 20 minute ferry journey and you'll be arriving into Miyanoura port on the island of Naoshima. Easy. If you're travelling around on a JR Pass, both train journeys will be covered. 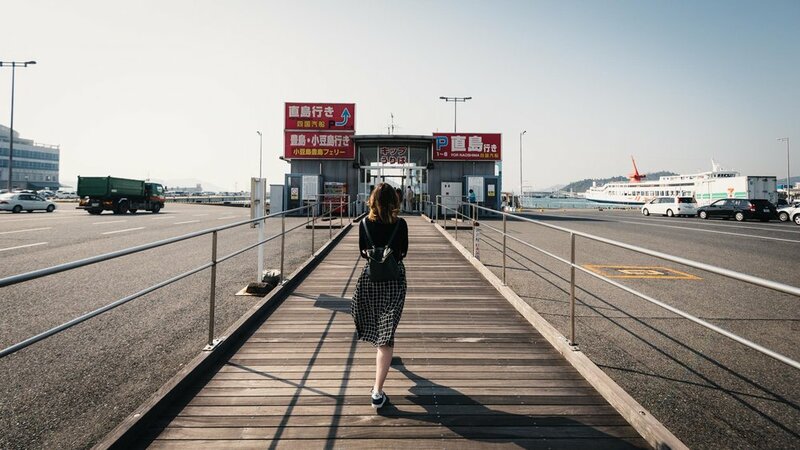 A round trip on the ferry will cost you ¥560. Very cheap. All photos shot on a Nikon D750, with a 16-35mm f/4 lens.